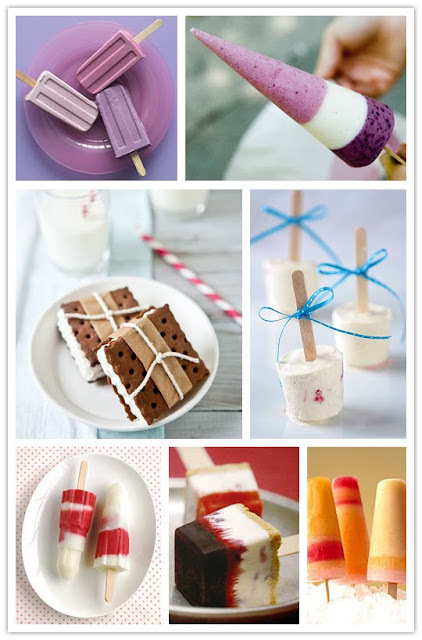 Okay, you've got to hop over to the Inspired Bride to read this delightful popsicle post. Off to read that article! Hello from the forums - hope you are having a great day! Droooooooolllllll...... I made cookies this morning (and blogged about it at http://mandjinanutshell.blogspot.com) but maybe I should have made popsicles instead??? It is getting hot here in California. Popsicles are next on the list, for sure!